According to the World Health Organization, in 2002, roughly 1,500 Americans diead of diarrheal illnesses, which made the United States rank seventy-second in that category. 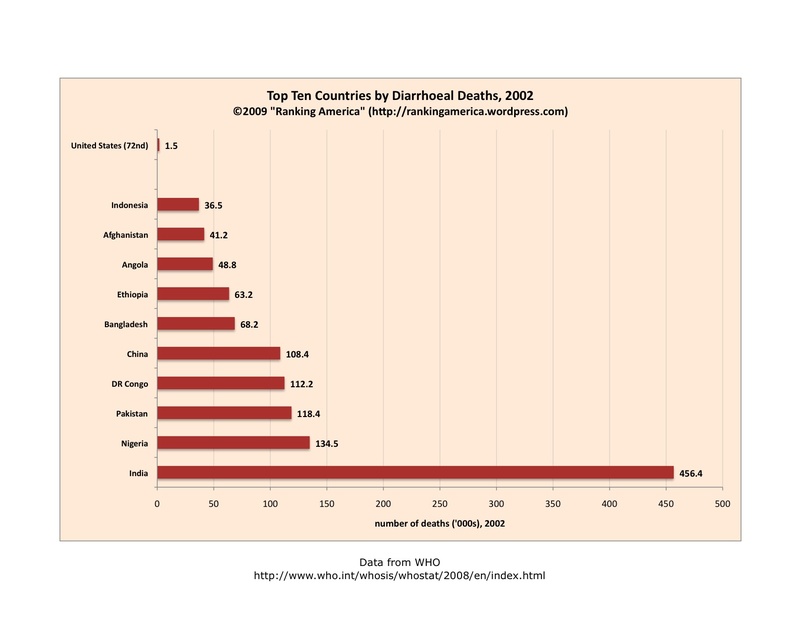 India ranked first, with roughly 456,400 diarrheal deaths. 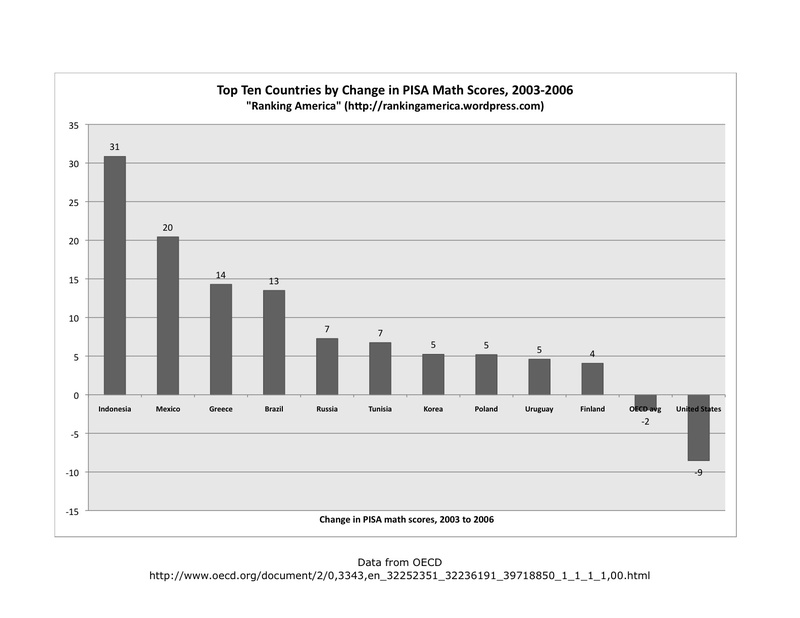 According to the OECD, between 2003 and 2006, American students declined by nine points in their PISA mathematics performance scores, which made the United States rank thirty-fourth out of thirty nine countries in that category. Indonesia ranked first, with an increase of 31 points in the PISA score.